This story starts with the heroine Emory heading off to practice for an upcoming marathon. Running brings her peace and helps her clear her head, she especially needs that right now because her marriage has become a union of two strangers. This story is full of twists and turns and I was caught up in the mystery around Emory’s misadventure on her run and the taciturn man who offers her help -on his terms. I wasn’t sure what to think of him at first but… actions speak louder than words and the actions of all the players in this drama painted a picture of their character. ♥ It bothered him that her instinctual distrust was so strong. It bothered him even more that is was valid. Nothing else, no one else, had ever distracted him from his resolve. She did. Mean Streak is edge of your seat suspense with the perfect blend of chemistry and romance. I loved the dialogue and characters. I developed strong opinions of who I was rooting for but was surprised multiple times by the directions the story went. I loved every minute of it! Brown holds an honorary Doctorate of Humane Letters from Texas Christian University. She served as the president of the Mystery Writers of American in 2012 and was named ITW’s Thriller Master for 2008, the top award given by the International Thriller Writer’s Association. Other awards and commendations include the 2007 Texas Medal of Arts Award for Literature and the Romance Writers of America’s Lifetime Achievement Award. Previous PostPrevious Saving The Book Tart – Spotlight on Shiloh Walker’s You Own Me + Excerpt + Contest! 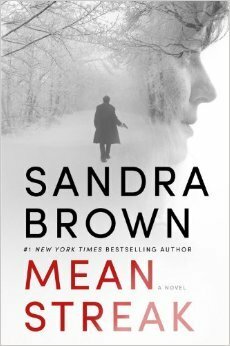 Next PostNext Interview with Sandra Brown + Spotlight on Mean Streak + Contest!